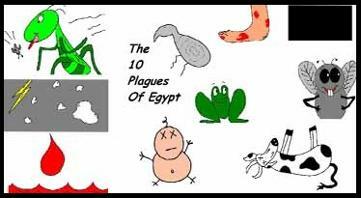 We have a craft for every one of the 10 plagues of Egypt. The kids will have so much fun making any one of these crafts. You can stretch out this particular Sunday school lesson by spreading out the plagues over 10 Sundays. This will really help the children to recall the entire plagues of the Bible. They will not get bored with these I promise. My kids had so much fun learning these. The lessons are not in this website but I have added a link to each page to be able to get you back to the lesson that goes with this craft. Church House Collection has all the lessons in them.